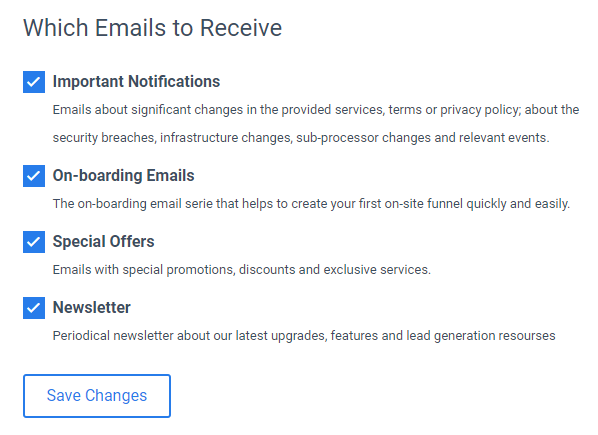 This week we’re introducing the subscribers list export feature and controls for your subscription to our current and future email campaigns. In your Convertful account’s Profile section you can now choose which emails you want to receive from our current and future campaigns. Just choose the relevant checkboxes.